Many of our recent caching trips had been some distance from home. We realised we hadn’t found many caches within 10 miles of our house for some time! Today, with bad weather forecast, was the morning to put that right. 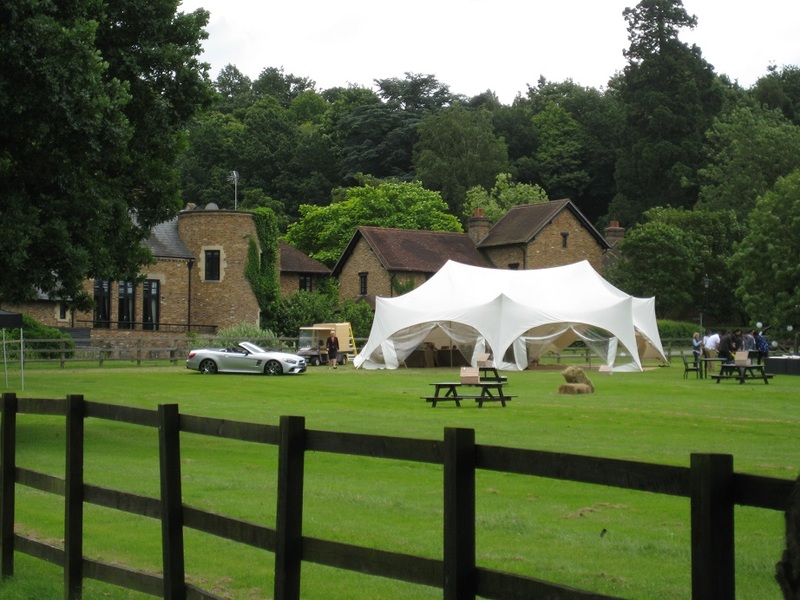 A small series in Sunningdale, Berkshire was our target and what a fine series it was. We loaded lots of other Sunningdale caches into our GPS thinking that if we were quick finders (Ed : wishful thinking ! 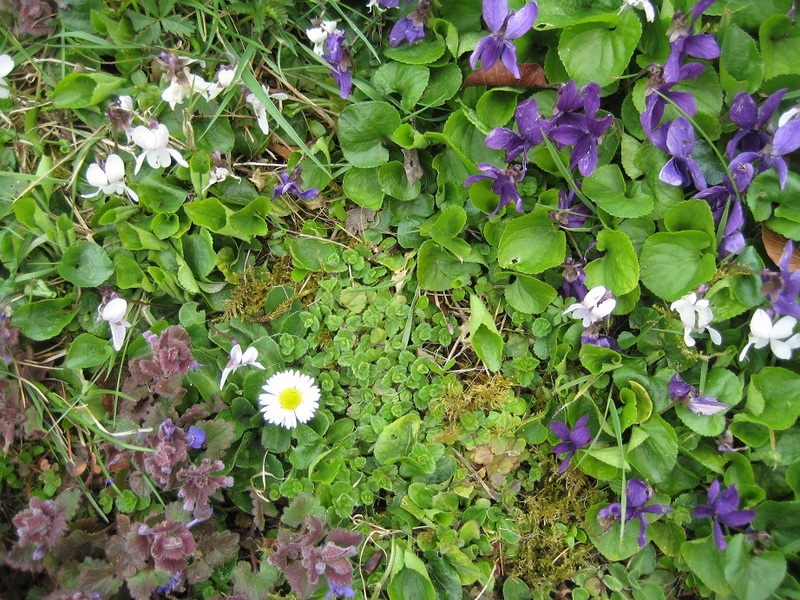 ), or the rain held off (Ed : even more wishful thinking!) we would have plenty to do. 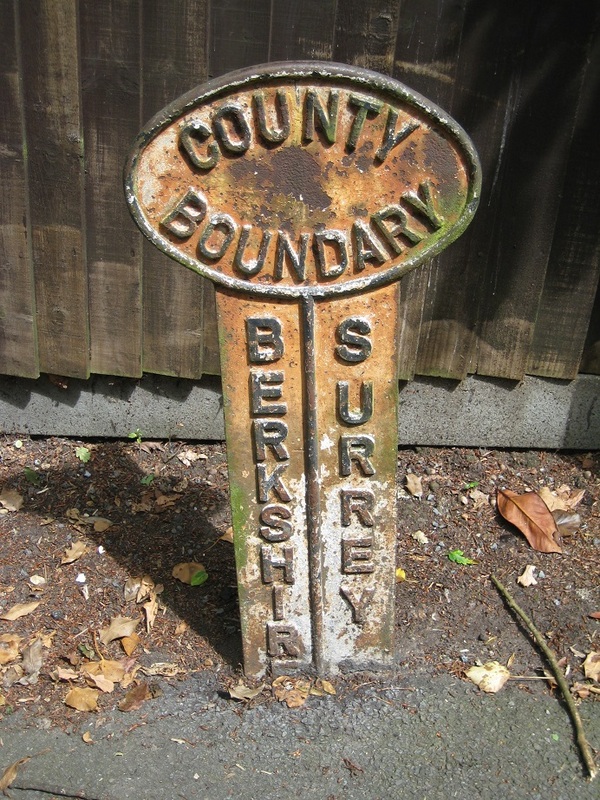 Our first target was a puzzle cache in the ‘Famous Berkshire Residents series’. We had solved the puzzle before setting out, and realised the co-ordinates were near a handy parking space yards from the Sunningdale circuit. We parked up, and searched. Read the hint. Searched some more. Re-read the hint. Searched again. Nothing. The advantage of parking so close to the mystery GZ, was that we could have another attempt later. 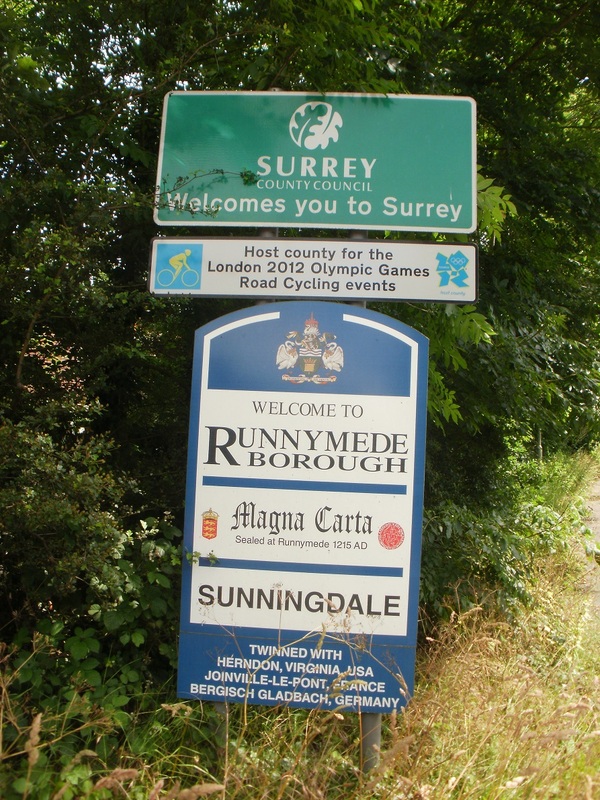 And so onto the ‘Sunningdale Circuit’. This was a very well thought out circuit in a predominantly semi-urban area. Most of the route was by roads mainly minor, but did include the notoriously busy A30! 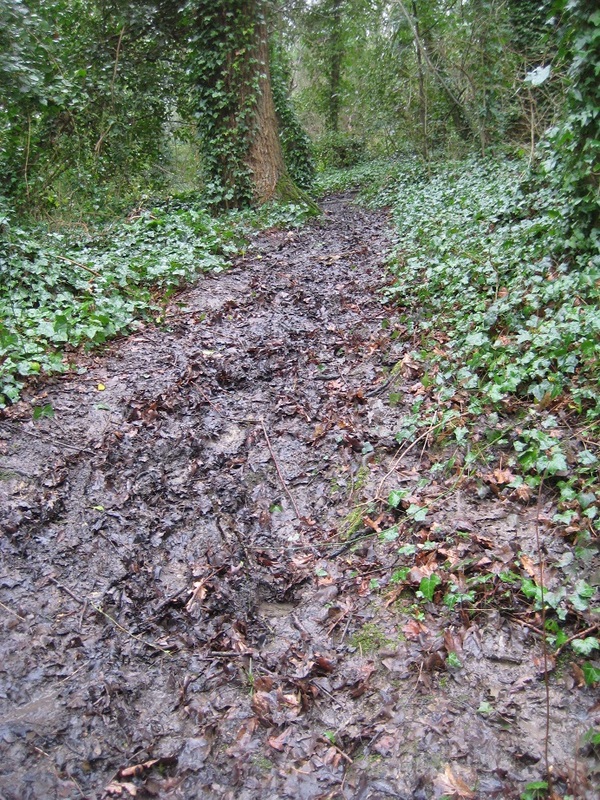 There were some footpaths too, most of which were very passable given the rain we had had recently. The first cache was near a bowling club, and we just about got away with finding the cache while bowlers were arriving at their venue. Our slight problem here, was the cache was embedded in a road sign, we initially looked at the wrong one, and then it was ages before we found the cache in the correct location. (This series wasn’t going to be easy). Our next WAS an easy find. 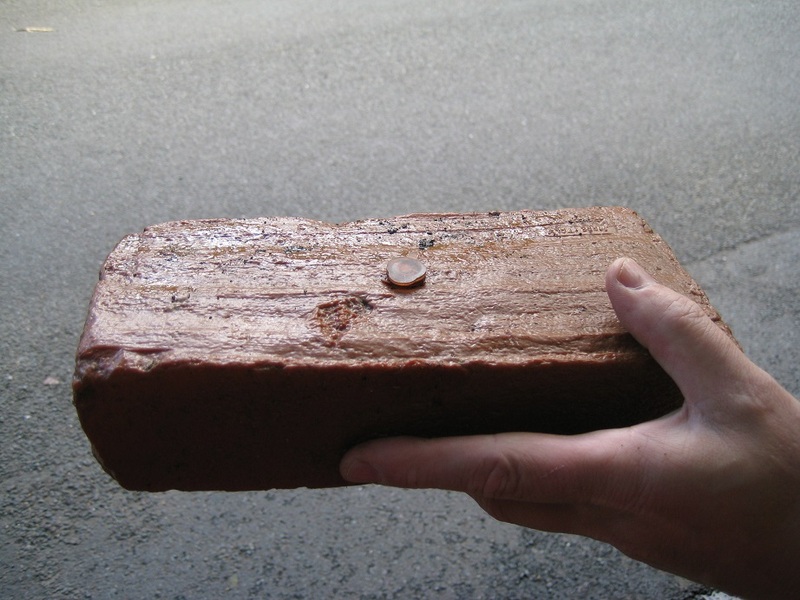 The cache log was hidden within a very life-like brick. With a small amount of rubble around it, it was very well hidden. Then to a gate. Here again we started our search at the wrong end, but once we had swapped ends, the cache was easy. 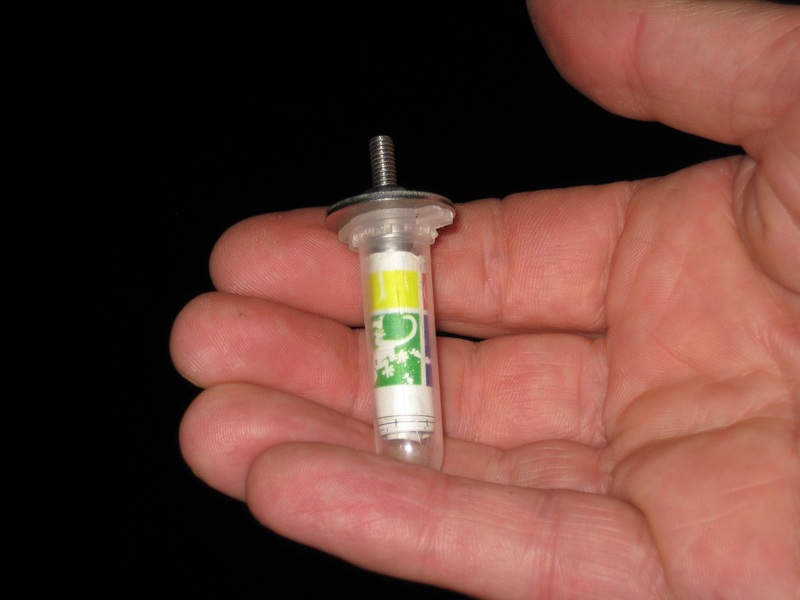 A disappointing feature of the whole series was the smallness of caches, no space for goodies or trackables. The gate lead to a footpath, which soon opened out to the Coworth Park Polo fields. Very scenic and totally unexpected given the narrow lanes we had been on earlier. 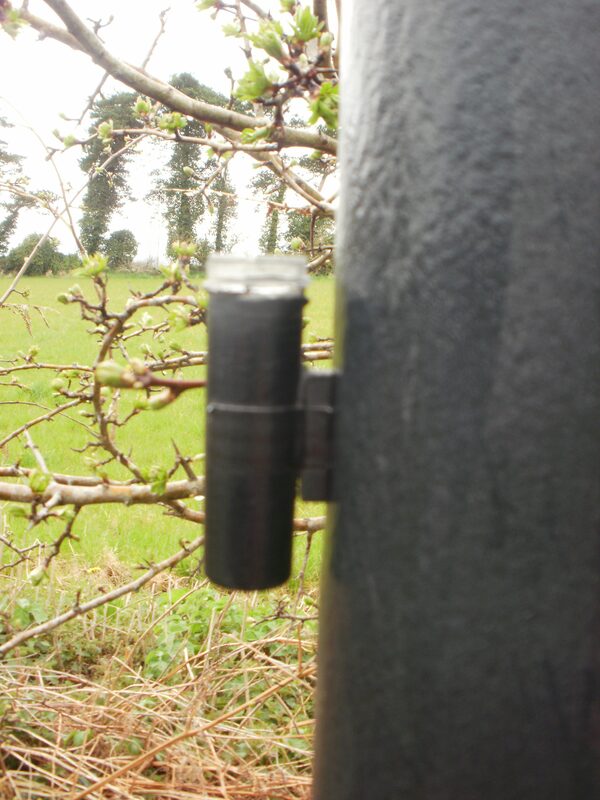 Here there were supposed to be 2 caches, but one had been disabled since 28/5/16 and has yet to be replaced. The other a very devilish bison hanging in a tree. 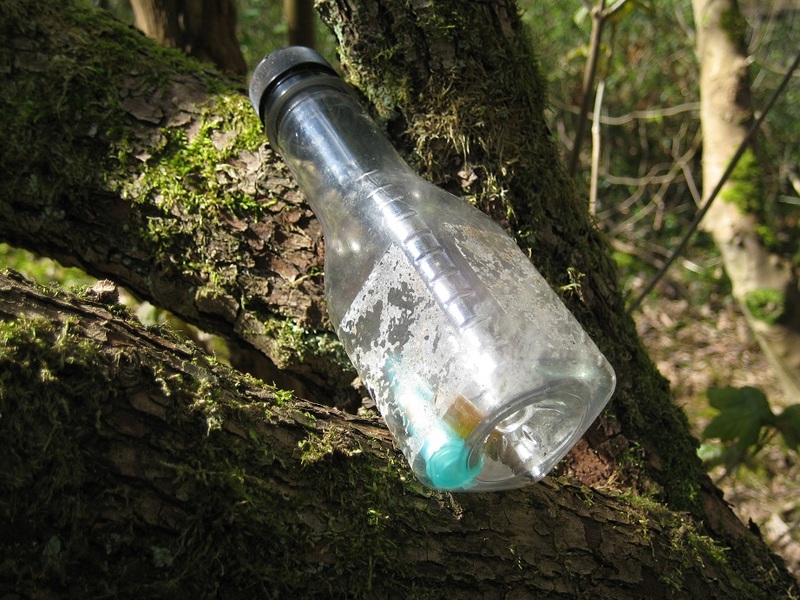 These caches are always really easy to spot when you know where they are, but until you spot them, every branch needs close examination. We felt a bit exposed here, as there was a fete (or similar) being set up and lots of people busy with all the tasks that fetes entail. 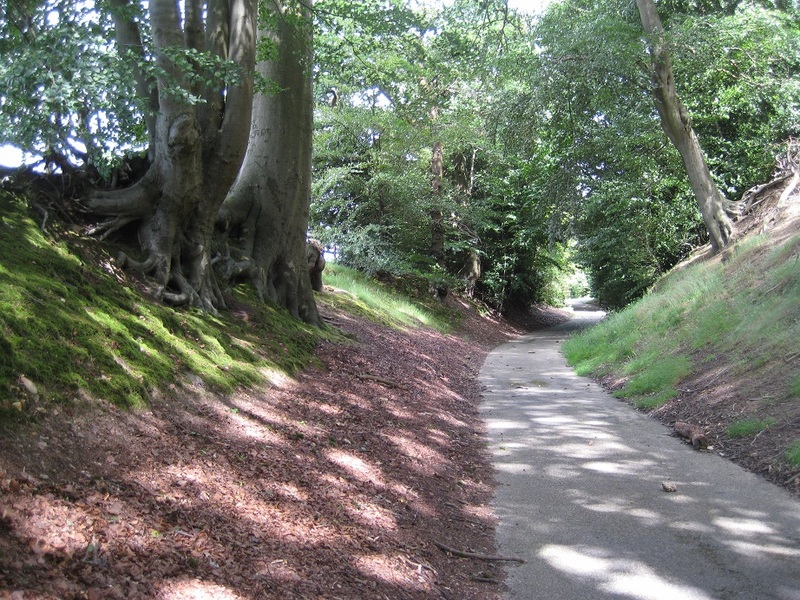 We walked around the fete field, and arrived at a beautiful footpath with overhanging trees. This was the best view all day, and best of all there was a cache to find. In amongst tree roots, but so many of the trees had long roots leading into the sunken lane. The sunken lane led to the A30, and its roar got louder as we approached. 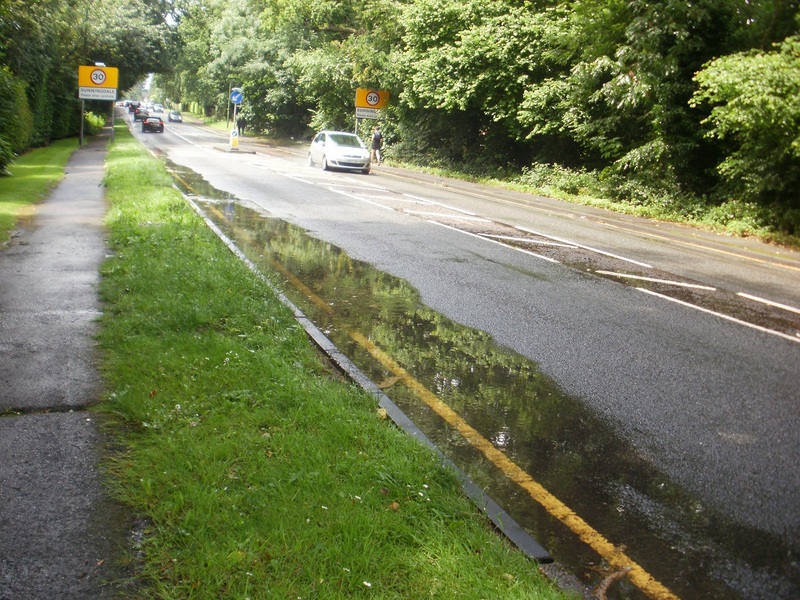 Just as stepped out on the A30 pavement we felt rain. At first just a little and we were able to use the many overhanging trees as shelter. A short diversion to find a cache right on the Berkshire/Surrey border and then back to the A30. Our next cache find was straightforward, but as we removed the cache from its hidey-hole, the heavens well and truly opened. A nearby rhododendron bush yards from the cache provided us with shelter for some 15 minutes. 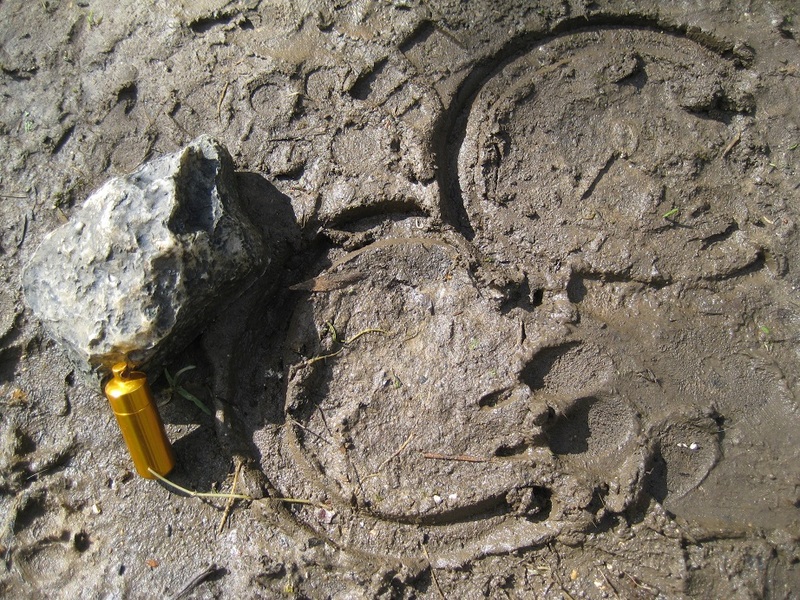 During that time we saw several wet walkers, some very wet dogs, and even wetter runners go by. Most didn’t see us at all, hiding from the intense rain. We decided that we could get to the car by finding just 2 more caches and eventually when the rain eased, we set off again. 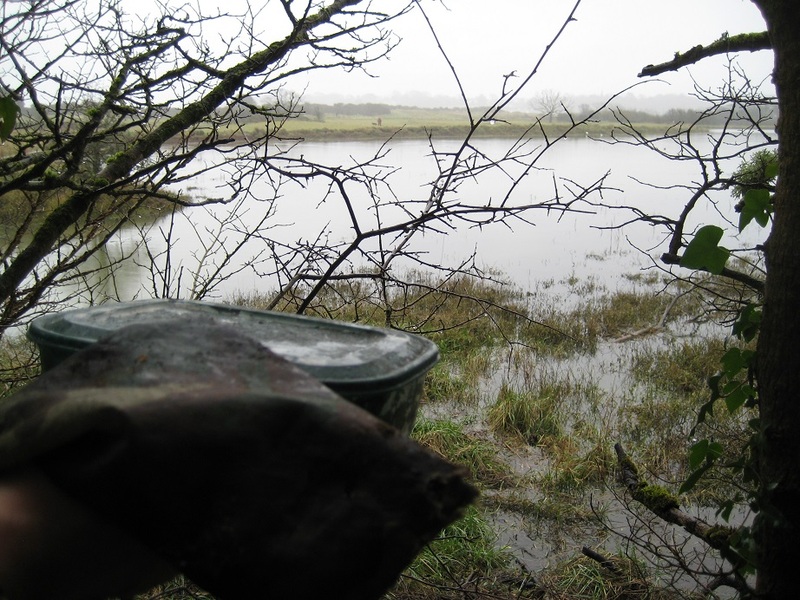 Our last footpath of the day was now quite wet and muddy, but we found the next cache fairly easily. 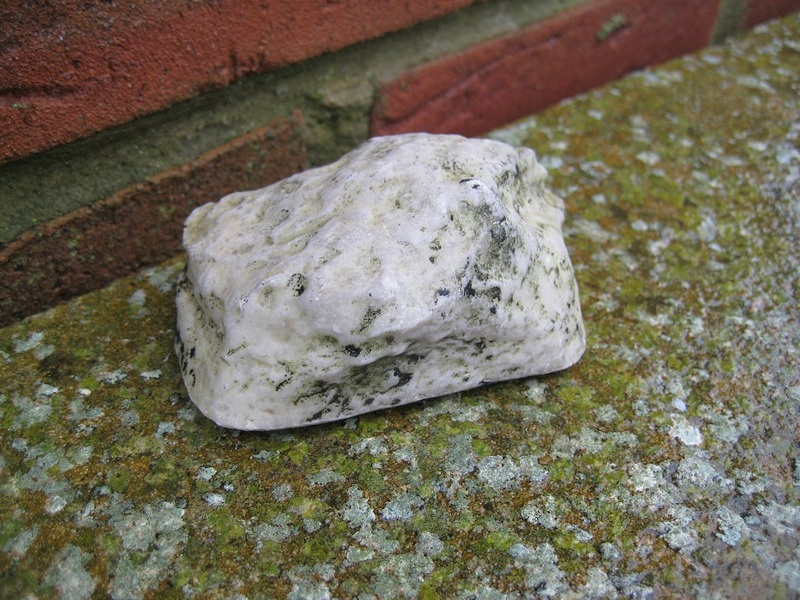 Our final cache of the day – one of those false stone caches – was hidden behind other stone objects near to a Sunningdale church. Not surprisingly given our searching prowess, we yet again we failed to find it on our initial search. We arrived at the car, and gave the ‘Berkshire Resident’ one final look. But our look was cut short, when a large back cloud came ominously into view. So with the exception of the puzzle cache, we found all the Sunningdale Circuit caches we attempted, although by the end of the morning it felt more like the Rainingdale circuit! 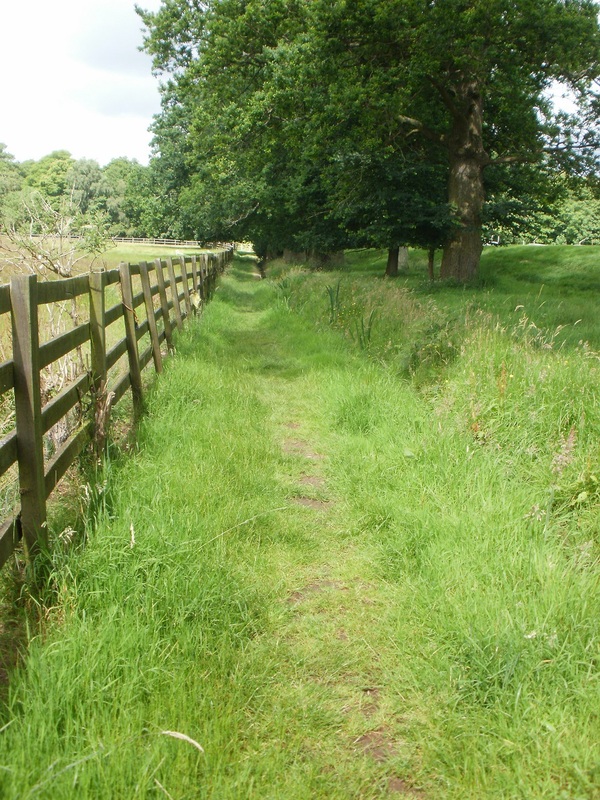 FLAB – not an especially nice term … But FLAB : Footpaths, Lanes And Bridleways is a series of 17 caches over approx. 3.5 miles, sandwiched between the A4, the Bristol-London main railway line, and the A404M. And that description does it no justice at all – it is really easy to get to, has good, free (!) parking, and is in a rural little patch of country. First of all: why did we choose it? We had an appointment between home and the cache series, and our plan was to keep the appointment and then move on to the geocaching. And, like all good plans … it went wrong. As we completed our appointment, Mr Hg137 realised he did not have his wallet; it is normally welded to his person when he is not at home, so he began to worry. Thus we returned home, retrieved the wallet, and set off again, passing the venue of our appointment (that saved some mileage, didn’t it?) before arriving at the excellent little parking place at the start of the caching series. 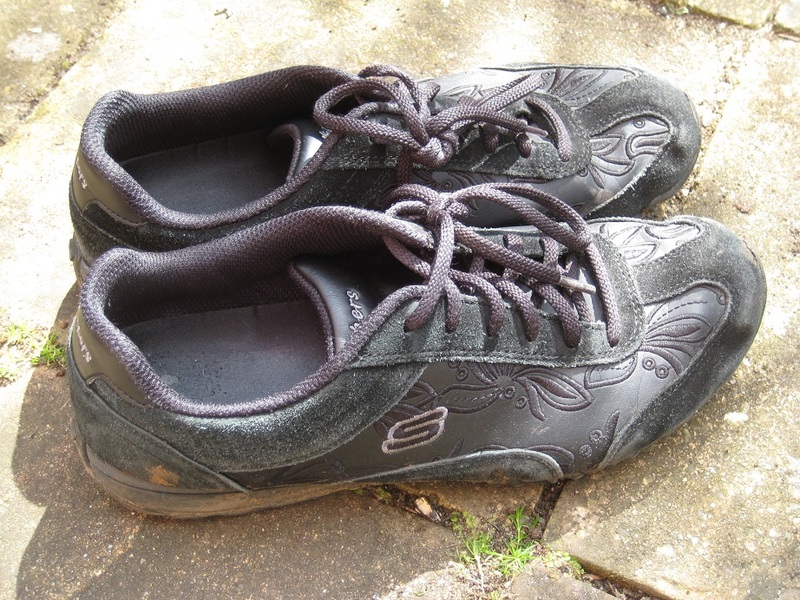 At this point I realised I had forgotten to pack my walking boots, so I had a choice of another, much longer, round trip to collect them, or going round the route in my wussy, soft, non-waterproof trainers. I chose the latter. Actually they performed much better than that, so I had no need to worry. 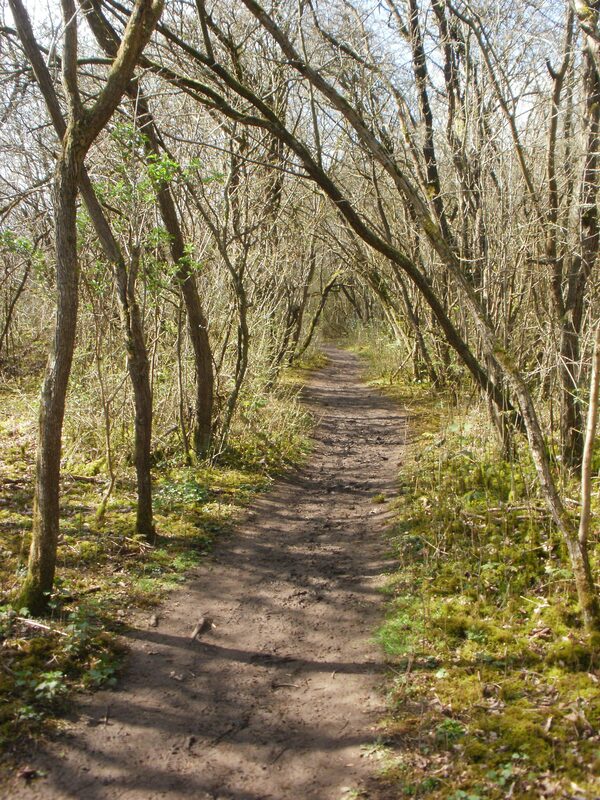 Leaving our start point, we set off in the April sunshine into light woodland. The caches were easy to spot in the dappled shade (no rootling in thick undergrowth or head-high nettles needed at this time of year), and after five quick(ish) finds, we emerged from the path onto a country lane. We came upon a seat, placed next to the village noticeboard for White Waltham. It was the first seat we had seen, it was lunchtime, so it was a good spot to sit in the sun, eat our sandwiches, and watch the world go by. After lunch, we went further on down the lane, before turning off the road onto a track across fields. Suddenly it wasn’t so sunny, and the wind was getting up. We dawdled as a muggle family passed, then dived behind a telegraph pole to retrieve a cache; we expected the cache to be on the ground, but it was at head height, so we spent a while in the right place, but looking in the wrong direction. 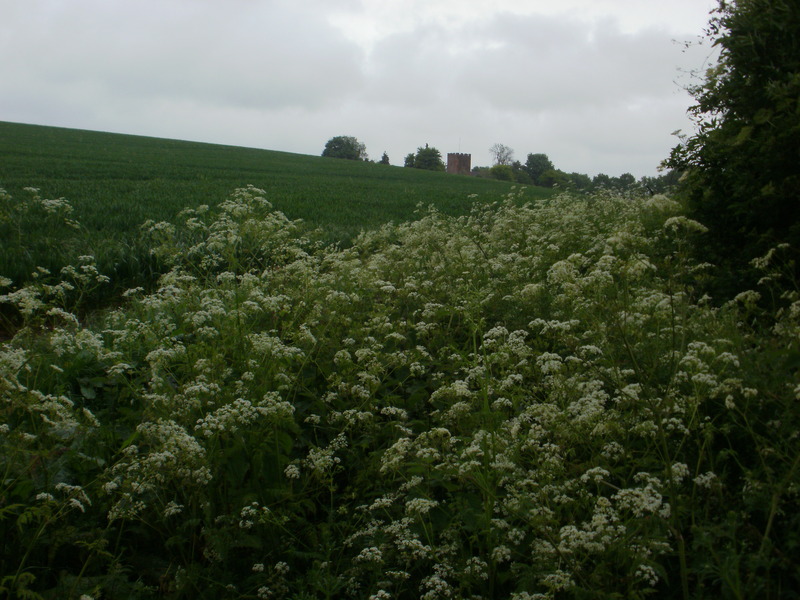 At the end of the track, we were back on a road, this time with a pavement, and pleasant flower-strewn verges, heading towards the railway line and a business park close to White Waltham airfield. Just before the railway, we diverted down a path across fields, accompanied by frequent trains in the shallow cutting alongside, and watching light aircraft practising take-offs and landings. Just here we found another cache – nothing very unusual about it, exactly where the GPS said it should be, and not very hard to find – but the previous logs said that it had not been found for some time and must be missing – that was most definitely wrong! On we went, along a quiet section of dead-end road and onto another path. By now, we could both feel occasional raindrops. We tried to ignore them, but had to admit we were likely to get wet. Very soon. And so it proved. 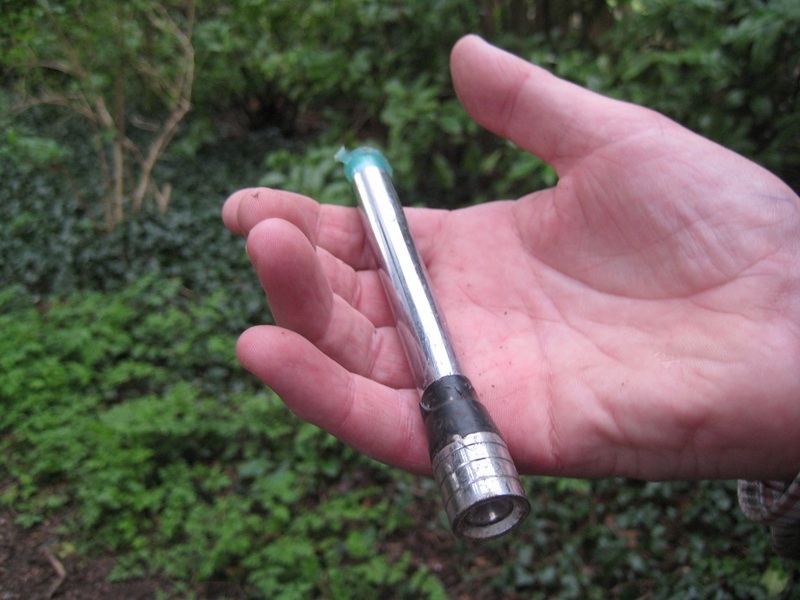 Our next cache was hidden amongst bushes and trees on a sheltered section of path, and it began to rain, hard, as we retrieved the cache. But it was a good place to be at that moment – possibly the most sheltered part of the entire walk – so we skulked in relative dryness under the trees while the rain pelted down and gusty winds swirled about. And then the rain was gone, almost as soon as it had arrived. A little further on, we emerged into a residential road, then turned onto a more major road which took us back to the geocar. I was quite happy for the paths to be paved by now, for my wussy driving trainers would not have fared well on those rural paths, once they were wetted by rain.The last two caches took us a while to find, as they weren’t where the description said they should be, but we got them eventually – a full house of 17 caches. 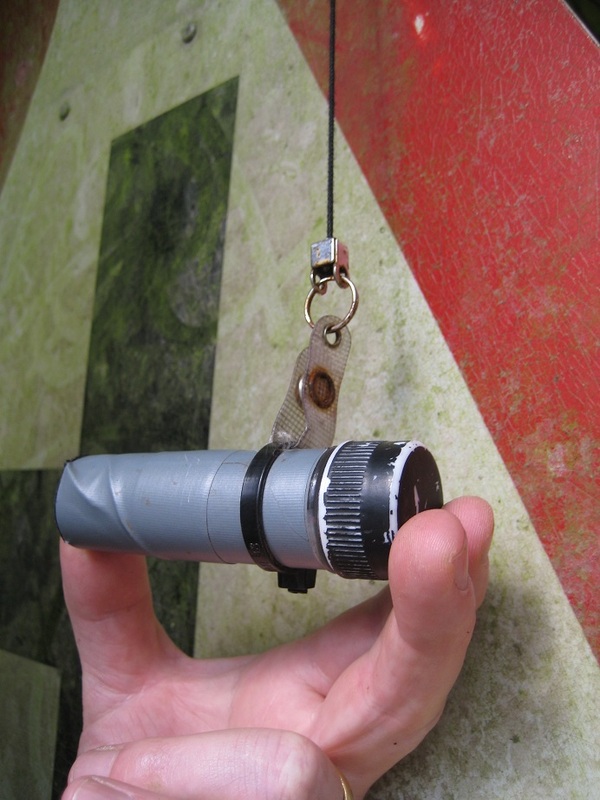 So, a roundup of the 17 caches. We found them all, which is quite rare for us; actually, very rare for us, there is usually something we don’t find. Most were very easy to find (as the description says they should be) though there were a few that weren’t quite where they should be (e.g. one hint said ‘in armpit of tree’ while we found it ‘in toe of tree’) or which needed some attention(e.g. container lid missing). We made notes on those and sent a detailed list out to the cache owner afterwards; as they said, the series is often done by beginner or inexperienced cachers, which might well explain some of the problems. We felt like grizzled old lags at that point! Before boarding the ferry to take us back from the Isle of Wight back to the ‘Big Island’ to the north, we had a morning in which to fit … some more caching. We headed north-east in the drizzle along the coast from Sandown, stopping first at the ‘Up and over TB hotel’. 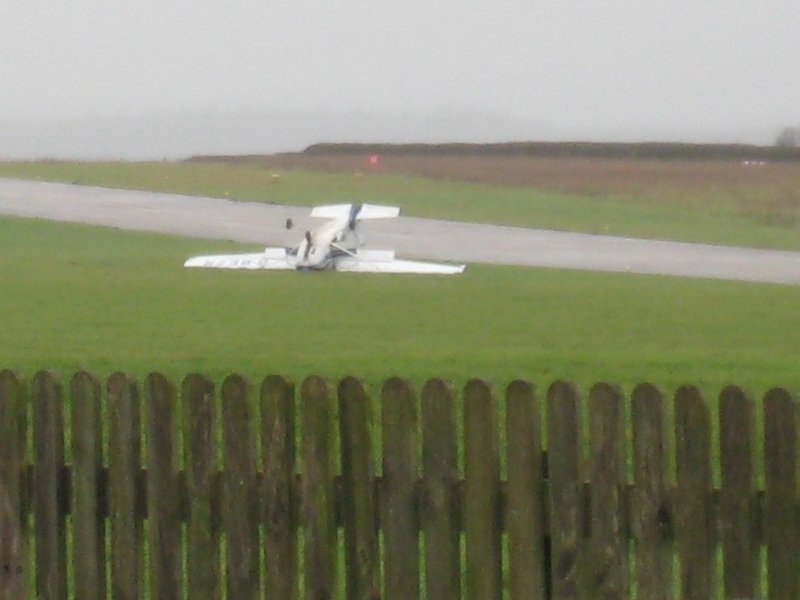 This cache is right next to Bembridge airfield, a grass strip where one plane had also done an ‘up and over’ ! 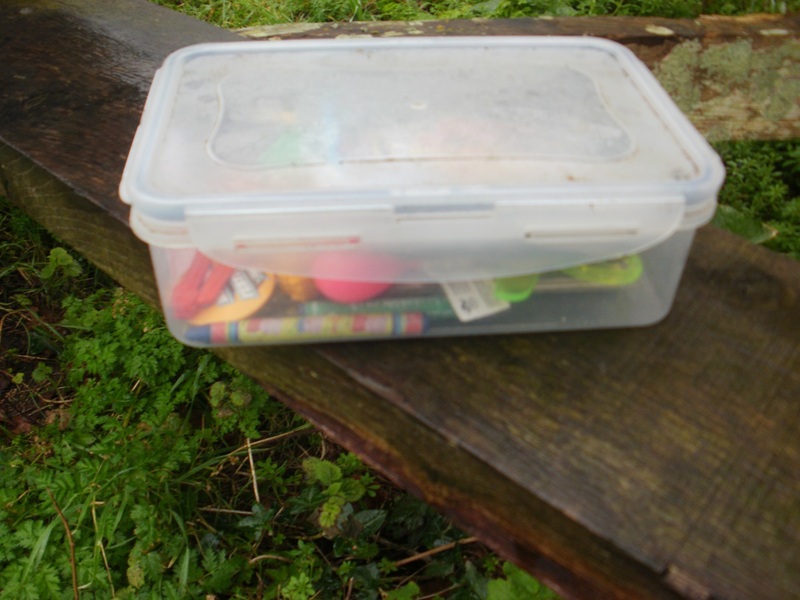 A mile or so away is the village of Bembridge, where we found another two caches. On the second, we had just started our search, when a muggle came out of his house to move his dustbin, spotted us, and came over to see what we were up to. We had been rumbled! But he was friendly and we explained about geocaching, found the cache, and showed it to him (it was hidden by the wall of next door’s garden). For the future, he will know what is up when suspicious-looking folk appear and start rootling around at the end of his drive. Leaving Bembridge, we moved onwards to St Helens, heading for the harbour but stopping along the way to find a cache at St Helen’s Quay. 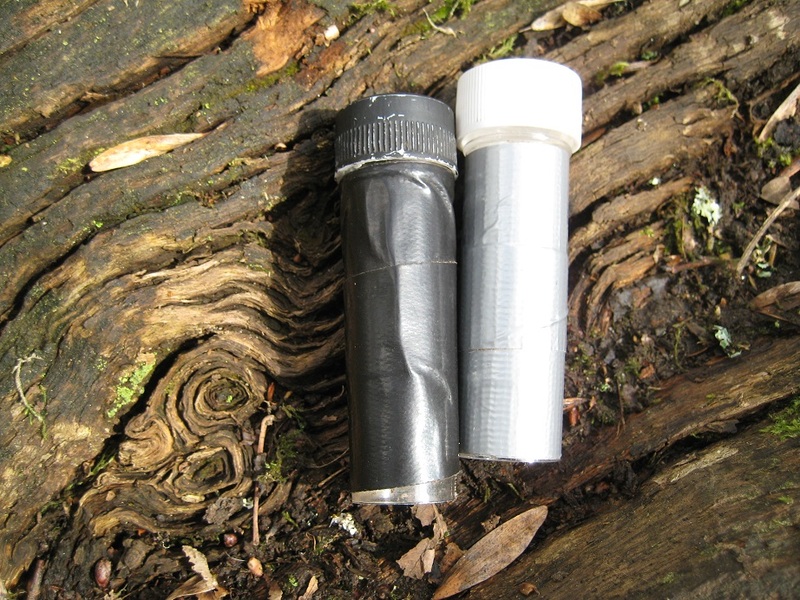 This is a new record for us; at -1 metres, this cache has the lowest elevation we have yet done. (Editor’s note: it seemed above sea level to me!) The drizzle had now turned to rain, the cloud base was not much higher than us, and it was a high spring tide, so we never found out if the next cache merited its title ‘Beautiful Beaches’. 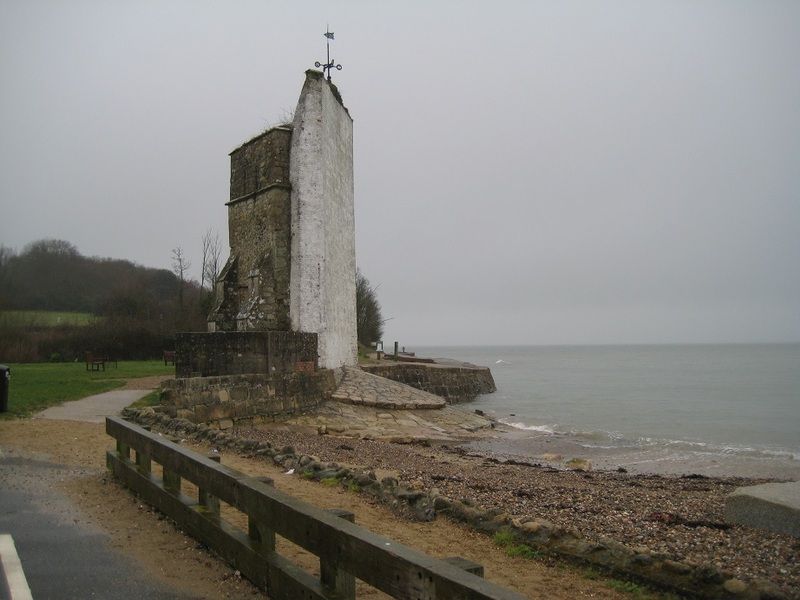 Nearby, right by the sea, is an interesting building, half church tower, half whitewashed landmark. 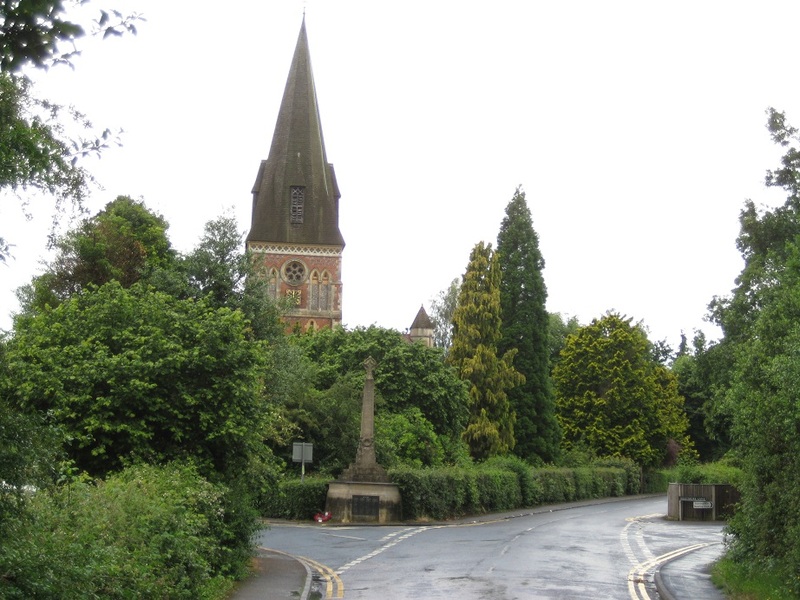 This is the remaining part of old St Helen’s Church http://www.sthelensparishcouncil.org.uk/history.php and legend says that it was Admiral Lord Nelson’s last view of England, as HMS Victory anchored here to take on water before sailing off to the Battle of Trafalgar. We had time for one final cache, and a coffee break, in a pleasant spot overlooking Bembridge harbour, before driving back to Fishbourne to catch the 13:00 ferry. We arrived a bit early and asked if we could catch the 12:30 ferry instead – there wasn’t one, so we sat and watched the rain through a steamed up car windscreen, reflecting on a successful, though wet, morning’s efforts. 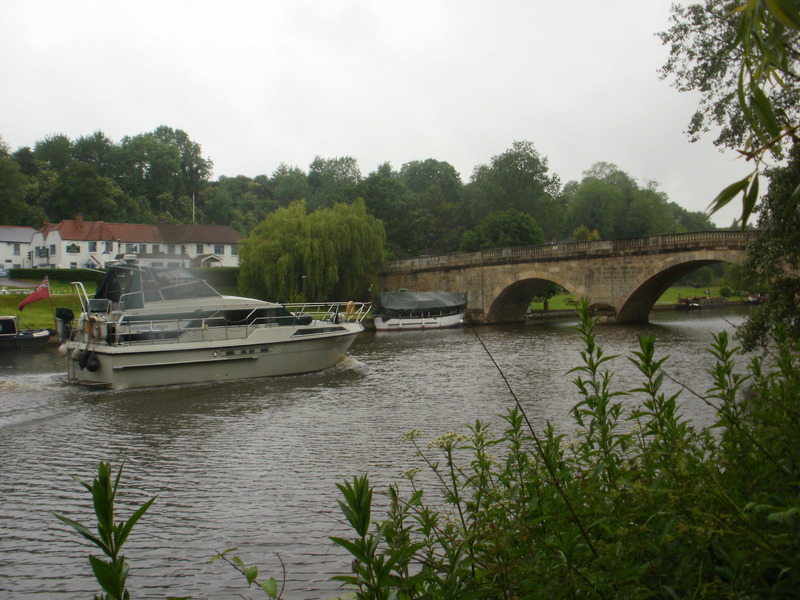 It was drizzling in Wallingford, and raining by the time we reached Shillingford. This wasn’t in the plan. We couldn’t find the first cache we attempted on the Thames Path; all those leaves were soggy and we couldn’t get a fix on the location, so we moved on. 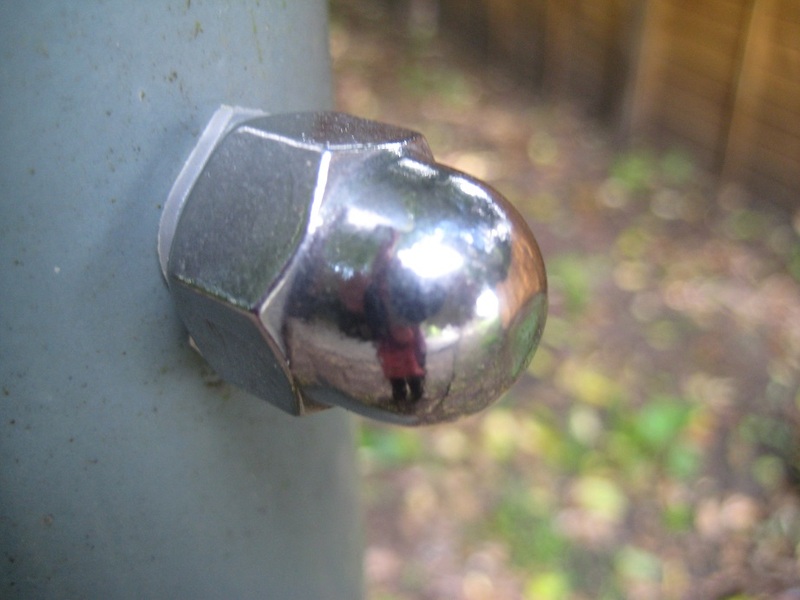 We had more success with the next cache, where we swapped the ‘Lady Bug’ trackable for another, ‘Biltmore or Bust’. Then there were another couple of caches in the nettles, and by the river, and another failed attempt in a dripping hedge, and we arrived at Benson Lock and boatyard. It was still raining, so we had an early lunch in a shelter overlooking the river, sharing rather more than we’d intended with a pair of ducks, and watching the hire boats depart. Mr Hg137 didn’t like the rain and was getting a bit grumpy by now,so we agreed to abandon the walk if it was still raining when we reached Wallingford. 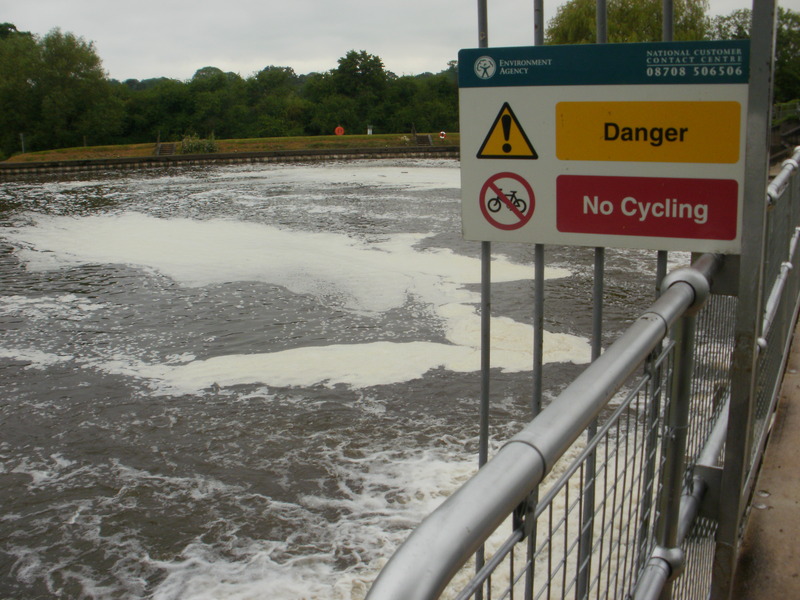 At the rather scary Benson Weir, we crossed over the Thames. Mr Hg137 kept stopping for a chat (why? I couldn’t hear anything he was saying over the roar of the water), but I just wanted to get to the other side away from all that rushing water. And on the other side, past the lock, was another cache, hidden beside one of the many pillboxes along the river. 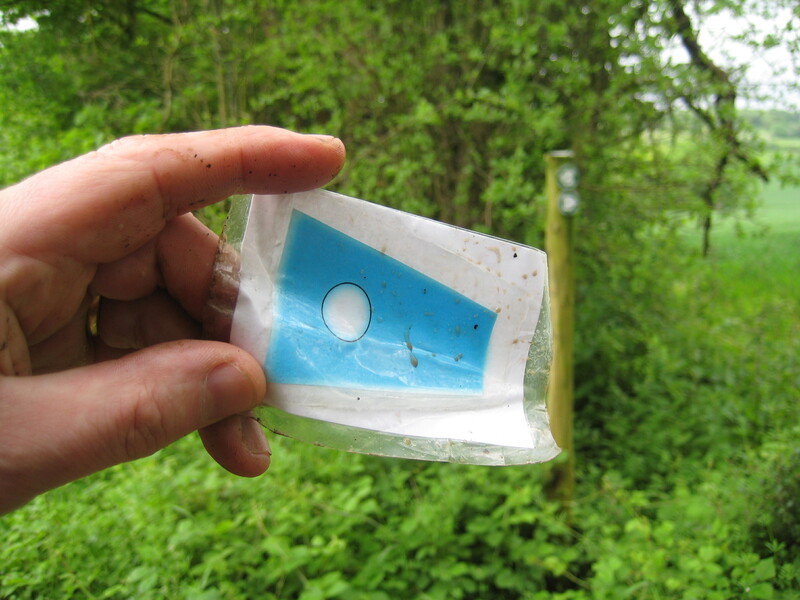 And in the cache, another trackable, ‘Blubbie the fish’ It stopped raining as we walked past the ruins of Wallingford Castle and through the town, so no early finish for Mr Hg137. After a couple of urban/suburban caches, including one of the BIKERZ series near the church, we were quickly out in the country once again. 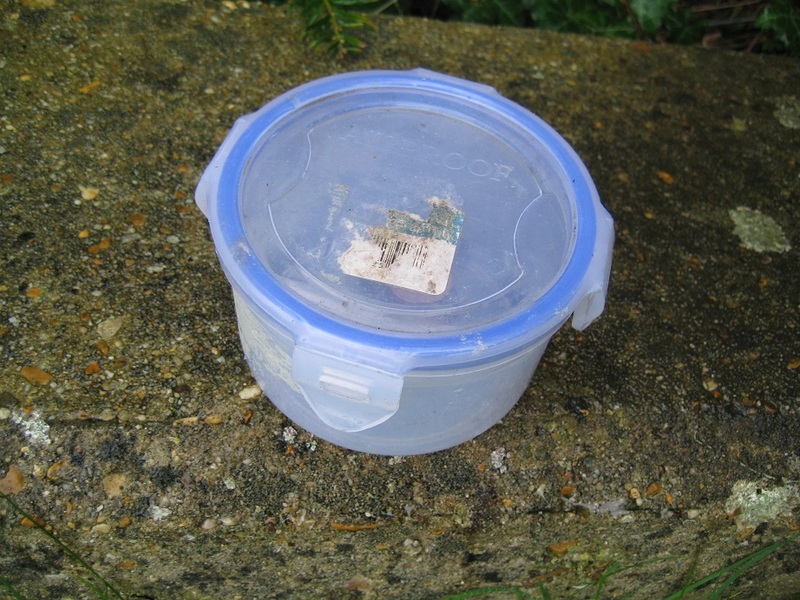 Then we came to the ‘Katie’s Floater’ cache; we’d not come across one like this before but we knew what was needed – to block up some holes in the outer cache container, then fill it with water to float the cache up to the top. Sadly, we didn’t have enough water, couldn’t find a container to top up our stocks from the river, and didn’t have a friendly octopus with us to block up all those holes; another time … Just a few caches till the end, and we didn’t get some of them; the nettles were high enough, and the GPS fixes vague enough, to put us off (the owners have subsequently checked them and they are there, so it was just our poor finding skills, again). Luckily, we found the last cache of the day on our walk up Ferry Lane to the geocar. It’s always good to find the last one, as it ends the day on a positive note. Holiday time, a week’s walking in Derbyshire, run by HF Holidays – http://www.hfholidays.co.uk/holidays/derbyshire-dales The Peak District was a regular walking destination for me in the past, and I was really looking forward to this … but first, more of my favourites. 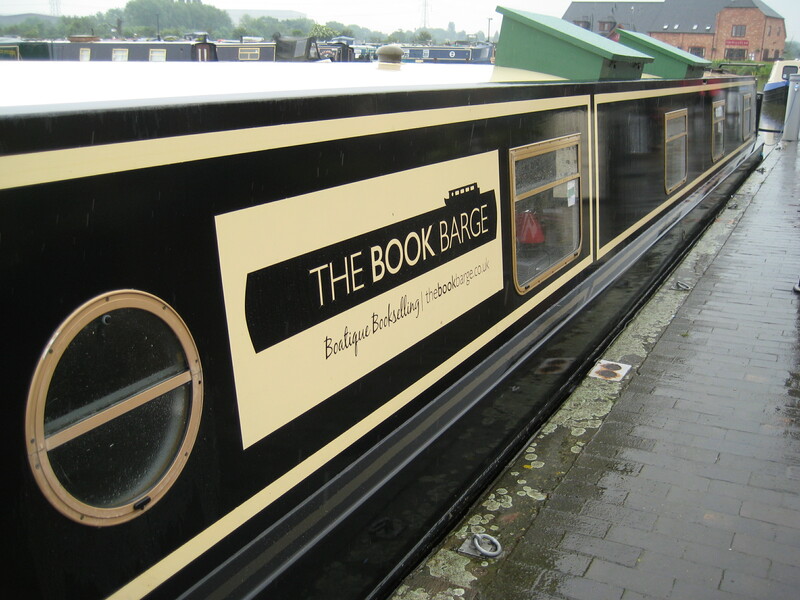 We broke our journey at Barton-under-Needwood, where there were geocaches – and canals – and books. The books … and Napoleon Bunnypart under the table! 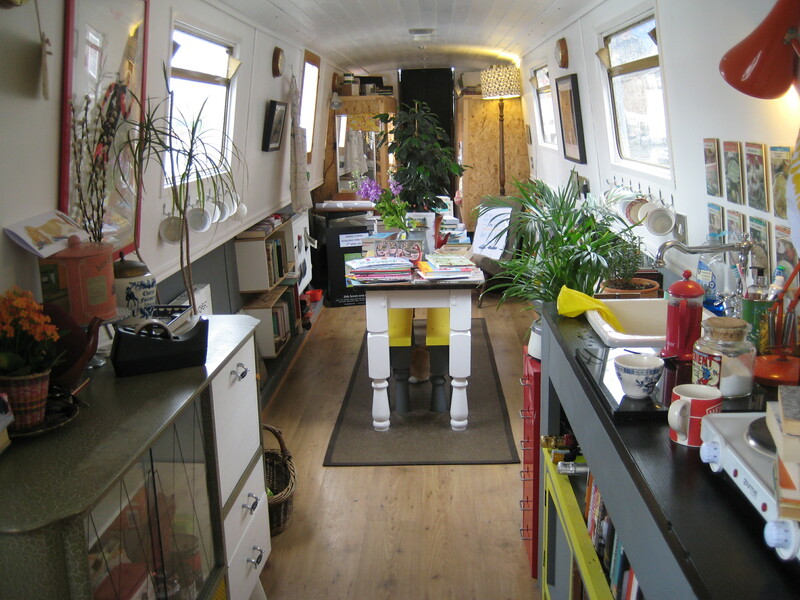 The Book Barge (https://twitter.com/TheBookBarge) is the home and movable, floating bookshop of Sarah Henshaw. She and her house/shop-rabbit, Napoleon Bunnypart, are both charming and friendly. We were treated to tea and coffee and I was dragged away after buying only three books; I could have spent all day there and could have bought at least half of the stock! Out into the rain we went (a good omen for a holiday – not) to do a quick bit of geocaching before we moved on. 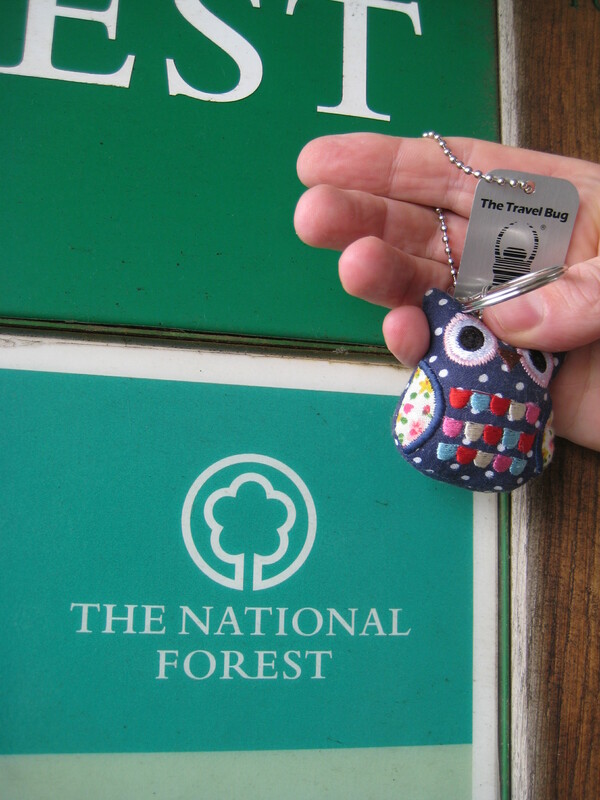 We dropped off Twoo, the trackable owl (very close to where he, she, or it started off), and then visited another cache by one of the lakes nearby. We would never have visited Baron Marina http://www.bartonmarina.co.uk had it not been for the Book Barge, but it’s a great little place; there is the canal, a marina, lakes, a surprising range of shops, even a cinema. We fancied a long day’s walk and long day’s caching and noticed a series called “Simply ‘Ampshire” just South of Alresford in Hampshire. (The ‘H’ has been dropped as apparently that’s what the locals do when they pronounce Hampshire). 25 caches in the series over 10 miles, plus a mini-series of Alpha, Bravo, Charlie and its bonus cache, 2 Church micros and a small number of others along the way. A long day needed a good weather window, and one was (sort of) forecast. “Early morning showers will make way for cloudy skies later”. 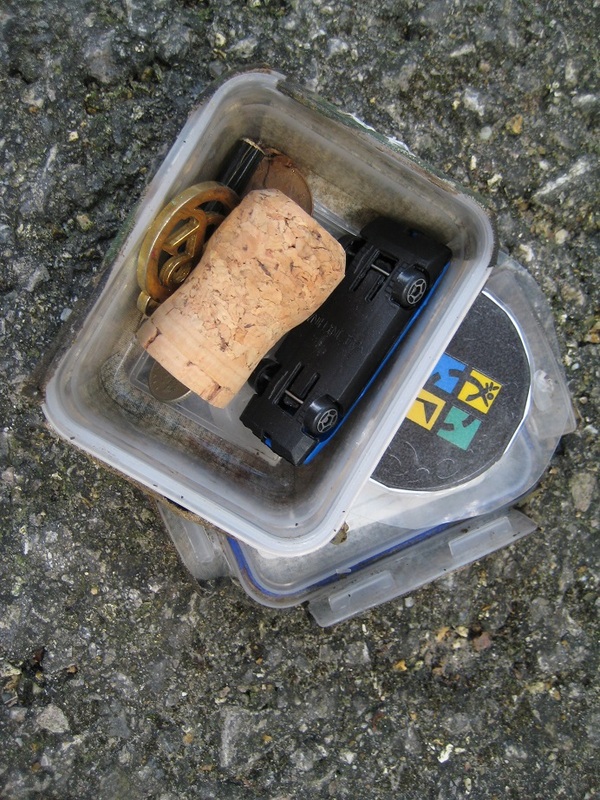 Seemed reasonable enough – may get slightly wet for the first couple of caches but otherwise dry. Let’s go! 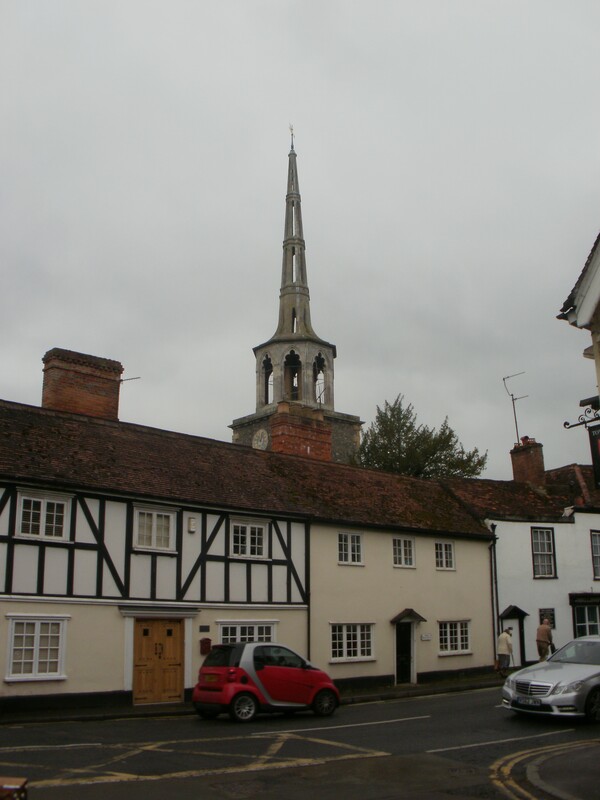 Our route was to take us in a broad circle from the South of Alresford to the village of Tichborne, then to Cheriton before returning to Alresford. Back to the main trail and our only DNF of the day. With a clue of “Base of ivy covered tree” and lots of Ivy covered trees to search – a GPS that wouldn’t settle in the woodland we gave up after 10 minutes. The long walk ahead of us meant we didn’t have much time for extensive searching. 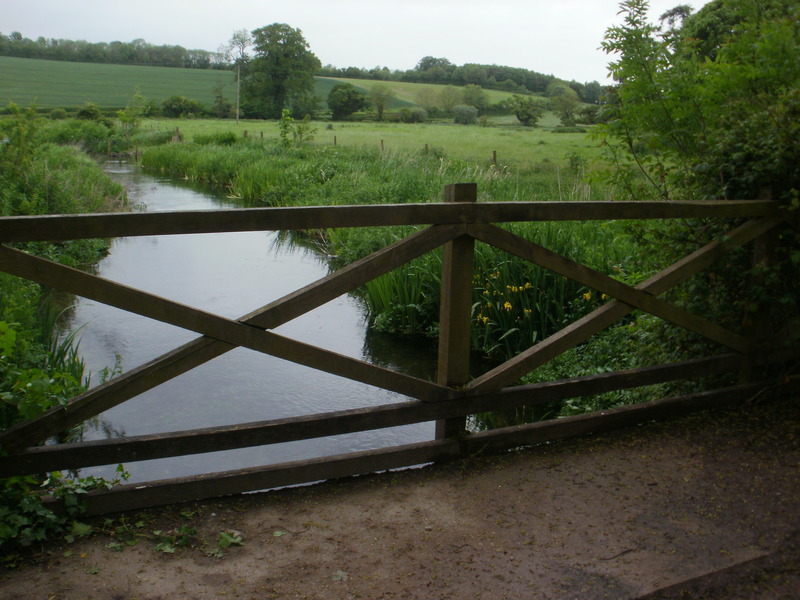 The route took us over the delightful River Itchen (a genuine, and rare, chalk river) and then a steady hill climb to “The Claimant”. At this point it started to rain. Heavily. We got wet. Very Wet. We’d set out with light summer protection, not full cagoule attire. We found “The Claimant” – a relatively old cache as it was first hidden in February 2002, and a simple log-stump find and decided to head for Tichborne Church for shelter. The Church did indeed provide a place of shelter – and a great place to eat lunch while we pondered our predicament. Wet through and a third of the way around the circuit, and although the Church was dry, it was cold…we chewed quietly and contemplatively. 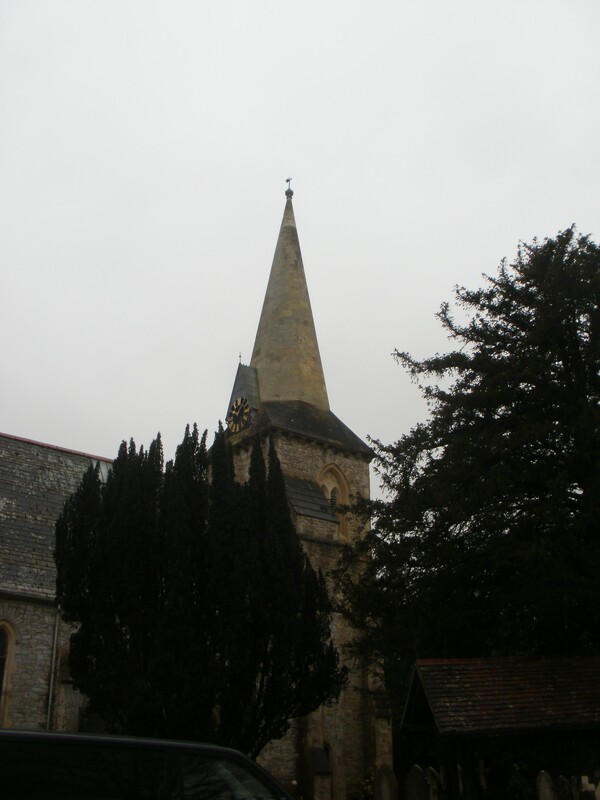 We decided to complete the Church micro associated with the Church, and then after completing Tichborne’s “Fine Pair” head back to the car abandoning the route. Completing the Church micro meant walking down a path with knee high wet grass, so we now had really cold, wet legs for our return. Only 12 caches completed (1 DNF), a lot less miles walked and 2 sets of very wet clothes. Aargh!